New Delhi, April 12: The President’s office on Friday denied reports of receiving a letter from over 150 veterans of the Indian armed forces who allegedly expressed concerns over politicising the defence forces. Meanwhile, some of the veterans including Former Army Vice Chief Lt General ML Naidu, Former Air Chief Marshal NC Suri and General (Retd) SF Rodrigues who were listed as signatories, also claimed that they had not given consent for any such letter. Mann Ki Baat: PM Narendra Modi hails Indian Armed Forces For Bravery; Remembers Surgical Strike on Parakram Parv. Gen (R) Rodrigues termed it as fake news. He said, “Don’t know what it (purported letter written by armed forces veterans to President) is all about. All my life, we've been apolitical. After,42 years as an officer, it's a little late to change. Always put India first. Don’t know who these people are, a classic manifestation of fake news." The former Army chief also stated that he did not know who had written the letter. Indian Armed Forces Let Down! 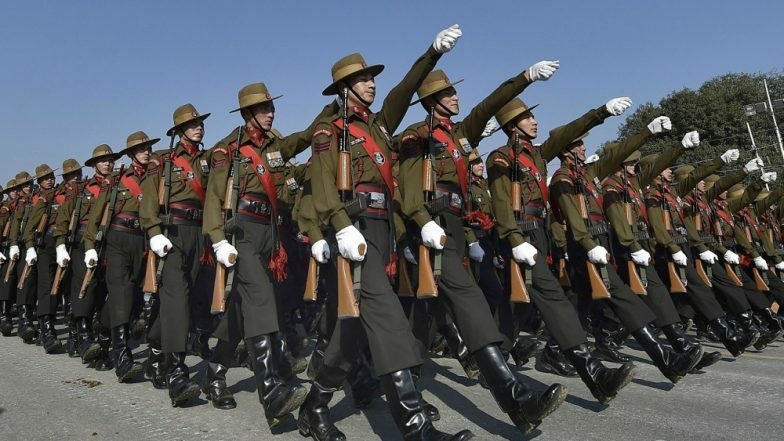 Modi Government Rejects Higher Military Service Pay Demand. Air Chief Marshal Suri said claimed that it was not Admiral Ramdas’ letter (purported letter written by armed forces veterans to President). He added that the letter was written by some Major Chaudhary and it was forwarded on WhatsApp and through emails. The former Air Chief said that in response to these messages he replied that armed forces are apolitical and support the politically elected government. Independence Day 2018: The Wars That Indian Armed Forces Fought Since 1947. However, in a series of tweets, Major Priyadarshi Chowdhary who, tweeted out the letter, shared a screenshot of the email, which he had sent to the President. In another tweet, he claimed Gen(Retd) Rodrigues And ACM Suri had also signed the letter. He also shared a proof of the Former Air Force chief giving consent for the letter. Gen Rodrigues & ACM Suri denying that they endorsed the letter to The President. Suffice to say, we have proof of their endorsements. The Congress slammed the ruling Bharatiya Janata Party over the letter. The party tweeted, "Modi may try to use soldiers for votes, but it's clear that soldiers stand with India and not the BJP. 156 Veterans of the Indian Armed Forces including 8 former Chiefs of Staff write to the President of India urging him to act against Modi for trying to use soldiers for votes." The controversy erupted on Thursday after reports surfaced that over 150 armed forces veterans – including three former army chiefs, four former navy chiefs and a former air force chief – wrote to President Ram Nath Kovind to complain about the politicising of armed forces ahead of the Lok Sabha elections. The letter is also going viral on social media. According to reports, the veterans objected to the use of IAF Wing Commander Abhinandan Varthaman's pictures in political posters used for campaigning. The alleged letter mentions Uttar Pradesh Chief Minister Yogi Adityanath referring to the armed forces as "Modiji ki Sena" at an election rally in Uttar Pradesh recently.